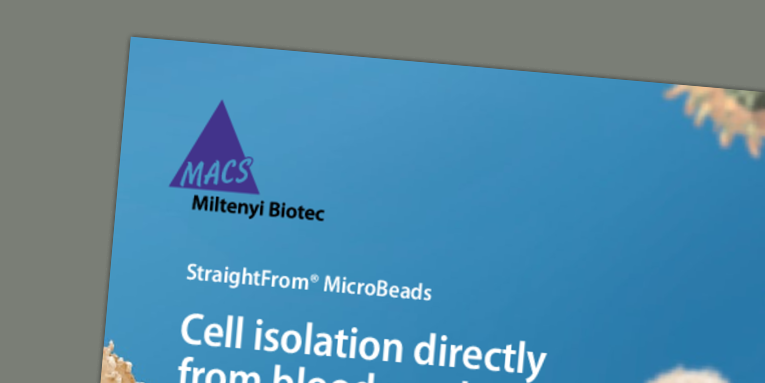 StraightFrom MicroBeads have all the advantages of MACS MicroBeads, while allowing magnetic cell separation directly from starting material, such as whole blood, buffy coat, leukoreduction system chamber (LRSC), or Leukopak®. Leukocyte subsets can be purified using the autoMACS® Pro Separator, the MultiMACS™ Cell24 Separator Plus, or manual separators. Pre-enrichment of leukocytes, e.g. by density gradient centrifugation, is not required. The purified cells are well-suited for further flow cytometric analyses, molecular biology applications, and functional studies.